This past week brought us the last two premieres of genre shows for the Fall season, and once again a cable series showed more life than most of the broadcast network shows. Last Sunday, AMC’s The Walking Dead had its Season 3 bow with a phenomenal and record breaking 5.8 rating in the 18-49 demographic (and you can read more about that at this link). So the Season 2 debut of FX’s The American Horror Story may seem like small news in comparison after it pulled a 2.2 rating and 3.9 million total viewers. But the fact is that those are fantastic numbers for a basic cable series (just not as stratospheric as those for WD) and represent one of the stronger debuts among genre shows this Fall. The series was up from its Season 1 premiere which delivered a 1.7 rating last Fall (and its final episode from last year had the same rating). And the fact is that American Horror Story actually outpaced all but three of the broadcast network shows this last week ratings-wise. It easily beat all of The CW’s shows and also came in ahead of NBC’s Grimm as well as ABC’s struggling shows 666 Park Ave, The Neighbors, and Last Resort. And FOX’s Fringe was on break, but it has just been averaging around a 1.0 rating this season. The only shows on the broadcast networks that rated higher than American Horror Story last week were Once Upon A Time (ABC), Revolution (NBC), and Person of Interest (CBS). 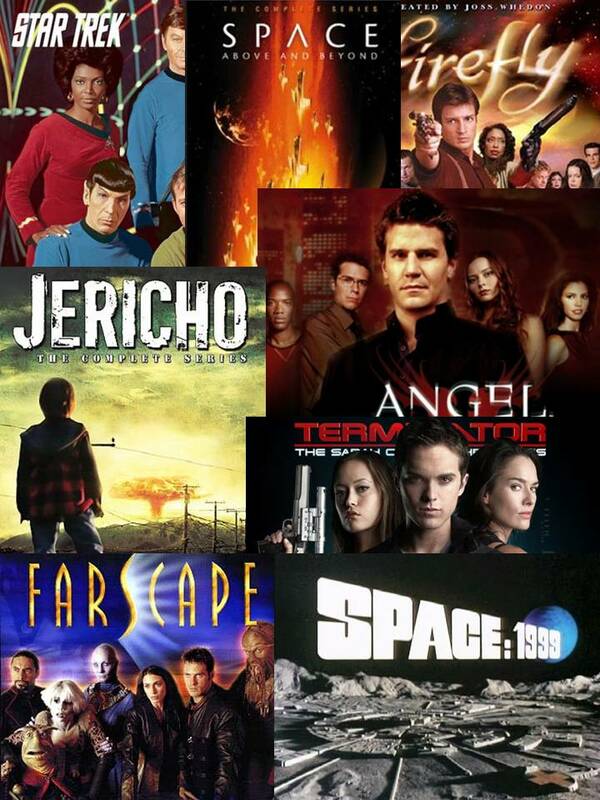 The cable shows seem to be winning the ratings battle at this point (with the exception of the Syfy entries) and they also tend to take more chances, so perhaps we will start to see more in the way of quality genre programming from that avenue. The second premiere from last week was far less notable as The CW’s Nikita had its Season 3 bow and nobody really seemed to care. The show debuted to a 0.3 rating in the 18-49 demo and less than a million viewers in its new Friday 9 PM EST timeslot. It would seem this one would surely be headed to cancellation, but then it apparently only got its third season strictly because of its strong international audience, so I’m just taking a pass on predicting its future for the time being. Two other CW shows got some bad news from the Nielsens last week as well as both of the network’s Thursday shows dipped considerably with their second episodes of the season. Vampire Diaries dropped from a 1.6 rating to a 1.3 (and 2.9 million total viewers) and Beauty and the Beast dropped from a 1.2 rating all the way to a 0.7 (and 2 million total viewers). Not certain if the baseball playoffs factored into the drop, and Vampire Diaries is still okay for now. But Beauty and the Beast can’t keep pulling numbers like that if it wants to stick around. I’m bumping it to a Moderate Cancellation Alert status for now, and that will move up quickly if those numbers don’t improve. Arrow held steady with its second episode, pulling a 1.3 rating again. And Supernatural remained steady for the week as well. ABC’s Last Resort actually improved its ratings by a tick this past week, pulling a 1.7 in the 18-49 demo and 7.1 million total viewers. But that’s still nowhere near enough to keep the show afloat at this point. And the fact is that ABC did order two more scripts for both it and 666 Park Ave, but that’s far from ordering more episodes. They may just be doing that to keep their options open at this point and the fact that they did not order the “Back 9” episodes for either show (as they did with several others on their schedule) means they are both likely on thin ice at this point. The producers of Last Resort should probably use those two additional scripts to provided some sort of wrap up to the current storyline. And interestingly I noticed that CBS is hyping their Sherlock Holmes remake Elementary as the “Number 1 new show of the season”. Well, that one only pulled a 2.3 rating in the 18-49 demo this past week (outpacing The American Horror Story by just one tick) and even its series premiere was not all that impressive with a 3.1 rating. NBC’s Revolution has far outpaced Elementary in the ratings with the all-important 18-49 demo, averaging a 3.5 so far this season based on the overnights. Elementary has pulled more total viewers overall for the season, averaging somewhere north of 12 million vs. Revolution‘s 9.6 million. But that 18-49 group is the one that the networks really want to grab, so CBS is just giving a little spin on the facts. And actually, if Elementary continues on its current course in the ratings, there’s a good chance it won’t see a second season. So don’t put much stock in those network promos claiming things like “the Number 1 new show”, “the top drama”, “this season’s breakout hit”, etc. I covered last week’s Sunday through Tuesday shows in my Wednesday column at this link. Keep an eye on the Cancellation Watch Twitter Site for the early returns from this week’s Sunday and Monday and you can see the Cancellation Alert status of all the shows currently airing plus the final results from prior seasons at my Cancellation Watch page. Following are the ratings results (based on the overnights) for all of the genre shows from this past week. In some cases, the numbers below are based on the preliminary returns and could change slightly when the final results are tallied.